And while content strategy alone can’t fix broken business processes or improve the quality of healthcare, it’s absolutely critical to helping citizens locate, understand, and connect with public services. It’s a tool to help government employees better deliver the right information at the right time to the right people. Why is the need greater than ever before for good content strategy? Because citizens usually need a specific piece of information, but the total pool of content to choose from has become bloated and chaotic. People want to engage, but often, incoherent content strategy prevents it. Very few people get excited when they have to visit irs.gov. People have always wanted good customer service and rewarded organizations that deliver it. But technology has progressed to the point where 76 percent of consumers expect companies to understand their needs and expectations. It has changed how we define what ‘fast enough’ means. And it has changed the landscape of when, where and how organizations must listen to customers — and it’s accelerated a need to better anticipate all types of expectations. The problem for us consumers is that, as citizens, our choices in getting access to government information and services are limited. If I’m unhappy with Amazon’s household items subscription service, then I can switch to Target’s. If I’m mad at Netflix for raising prices, then I can dump them for Hulu. But we only have one government, and we only get to impact how it’s run tangentially through our votes every few years — and, shocker, digital strategy isn’t typically part of a candidate’s platform. There is only one U.S. Department of Veterans Affairs and each state has only one Department of Motor Vehicles. With brands, we tend to have some loyalty and thus some inherent satisfaction that we’ve been allowed to make a choice to align ourselves with that brand. But the lack of choice in obtaining public services immediately puts government at a customer experience deficit, so it needs to work overtime to meet expectations that citizens bring with them as private sector consumers. Because there are no other alternatives, the citizen’s alternative when they have a bad experience is to entirely disengage. People’s previous experiences, despite the sector from which they came, influence their expectations for future service interactions. Big private sector companies have, as McKinsey puts it, “spoiled” customers with seamless user experiences, raising expectations to new heights. It’s no secret to government that citizens’ expectations are so high — the Obama administration issued an executive order to agencies requiring they create customer service plans to develop more “competent and efficient” service for the American people. The Trump administration has directed the executive branch to continue those efforts in the President’s Management Agenda, which includes a section on bringing customer satisfaction scores up to be on par with the private sector. The Office of Management and Budget also announced earlier this year it will bring back the Obama-era Federal Customer Service Awards program. Government agencies are trying, but they aren’t quite yet living up citizens’ expectations, even though many government agencies have budgets larger than top scorers in the American Customer Satisfaction Index. For example, Trader Joe’s, with an annual revenue of $13 billion, has an ACSI score of 85.4. Compare that to the U.S. Department of Housing and Urban Development, which has a requested fiscal year 2019 budget of $41 billion and scores only a 60 on the ACSI. In fact, 80 percent of federal agencies deliver poor customer service to citizens (contrasted to only 20 percent of private companies who rate that poorly), according to the 2018 Federal Customer Experience Index by Forrester. The faster that technology changes the ways in which we interact with information and organizations, the more expectations grow. Content strategy is particularly important when citizens are in crisis, such as after a natural disaster. There are many avenues to improving CX across government. Content strategy is not the only tool that’s needed. However, it’s absolutely essential. It’s the cornerstone for understanding how to get the vast amounts of information and services offered by government to recipients who may not understand how to get it, or even that it exists in the first place. The content and IT systems used to connect citizens with government services have been subject to many policy shifts, leadership whims, and Band-Aid fixes over time. For example, there’s an abundance of disconnected, outdated, disorganized and duplicated content out there across the top-level dot-gov and dot-mil domains. Many government sites contain hundreds or even thousands of pages that no one ever reads — too often, progress is measured in the number of resources published and not in how well any given piece of content is designed to serve the users. A lot of the how seems to still be getting figured out. I propose it should involve content strategy teams working to design connected content across government agencies to really boil information down to the top tasks citizens need to complete and the top questions they need answered. More content users need. Less content internal stakeholders dream up. In all fairness, government has made some progress. The creation of important groups like 18F and the U.S. Digital Service in 2014 was a commendable milestone in starting to adopt private-sector thinking around the digital delivery of content and services to citizens in faster, better, cheaper ways. 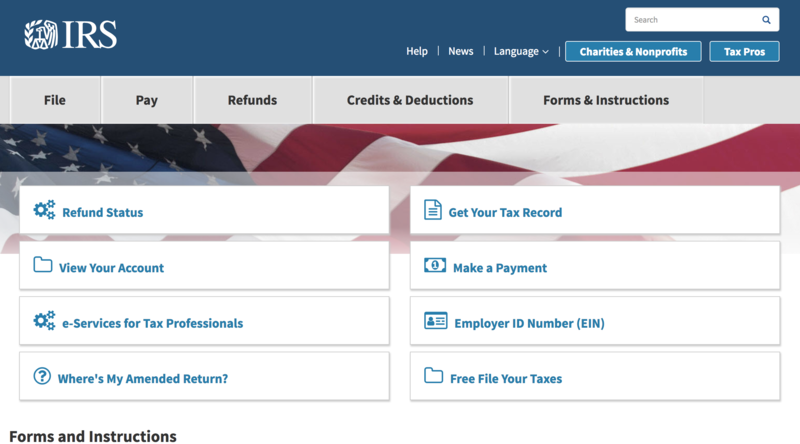 The Digital.gov team created a great toolbox on CX as a starting point for government agencies, and it does to some extent include the importance of content as an element. But not enough product owners know this toolbox or other governmental guidance on content strategy exists or are doing anything with it. The product owners for IT systems, which are now the primary means of delivering information to citizens, are often subject matter experts in the field (e.g., healthcare, science) and not digital strategists. Furthermore, governance is loose if not entirely lacking from most of these systems — if someone has an idea to add even more content, the web team does it, despite the potential negative impact on users. Something has to give, or all this talk about improving experiences will continue to be limited to pockets of bright light instead of a government-wide institutional change. 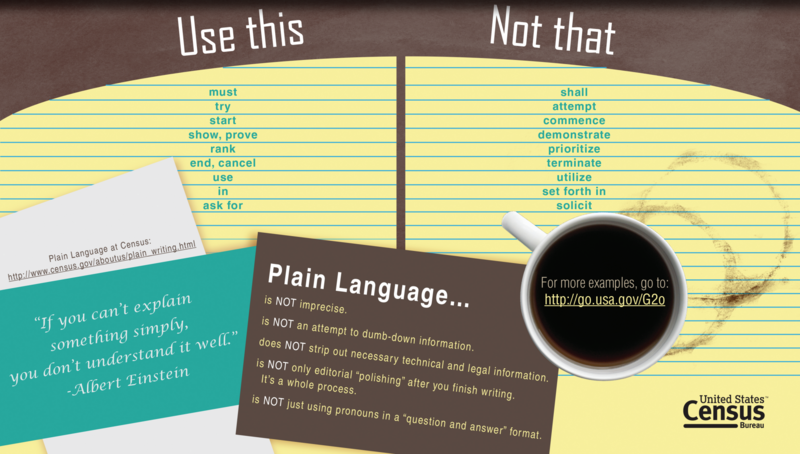 This resource from the Census Bureau demonstrates how to use plain language. Government agencies need a plan for structuring their content in a way that not only makes it easier for citizens to find and understand it, but also that future-proofs it for new technologies and increasing expectations. Some agencies already doing this, but a government-wide focus on create once, publish anywhere (COPE) content strategy would help government engage citizens regardless of platform or device — whether through progressive web apps, voice assistants, augmented reality interfaces, or traditional websites. Modeling content needs, and defining content types and attributes, will help structure content — to essentially treat it as data — that can be deployed anywhere. Content-first design — not stakeholder-first design, legislator-first design, political appointee-first design, or technology platform limitation driven-design — is the key to having good information when and where citizens need it, even on relatively static annual budgets. Conduct more (for many, any at all) user research, including deep analytics reviews, to better understand how your content is or isn’t serving target audiences. Interview stakeholders and document findings about how content does or doesn’t help advance agency goals, then find the sweet spot between agency goals and user needs. Develop government-, agency-, and program-wide content strategy statements and plans that include guidance on user-focused content principles and governance. Create a user-driven content model, then audit and adapt content to fit the model, including structuring the content as data points that can be pushed out to multiple platforms. Meet with IT and communication teams to adopt technology and outreach practices that fulfill dissemination needs based on what you learn from user research. Ensure content adheres to plain language standards, even if stakeholders think jargon is OK for their audiences. Use techniques such as card sorting and tree testing to ensure content is organized in a way that matches users’ mental models — and focus on users’ top tasks and questions, not hawking lengthy PDF reports. Remember that most users are probably finding content through search engines, not the home page (yes, this is still a problem in government!) — and ensure metadata and UI elements support that user journey. Federate more site searches, and actually make them work — too many government site searches crawl only a portion of the site or don’t support Boolean logic. Help guide users by recommending similar content and related tasks to the content they consume initially (bots can be helpful here too, as USCIS has found out). Have you had an experience with government that could have been improved by good content strategy? I’m always interested to hear about new cases. Email me or give me a shout on Twitter.